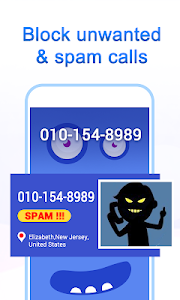 Caller ID is a caller screen app that makes your incoming call screen stunning, also Caller ID can block fake calls & unwanted calls and identify real calls with caller name and location. 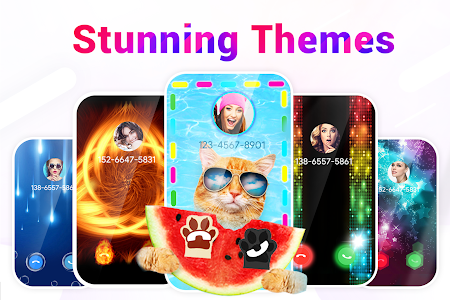 ● Color phone caller screen themes. ● Smart calling screen app with spam call block and spam message block. 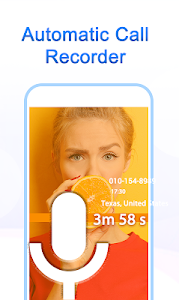 ● Call recorder, check caller background easily. ● Phone number tracker tells you who is calling. ● Speedy caller number identifies true Caller ID and spam caller ID. ● Make full use of fake Calls with stylish caller screen. 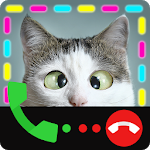 ● Colorful calling screen for incoming calls makes a color caller & color phone. ● Calling screen theme with dynamic caller screen notification. ● Shows number location of real calls. ● Timely missed call reminder and SMS text message notification with stunning call themes. 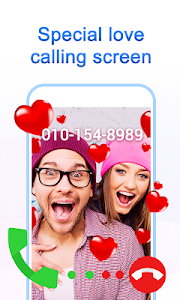 ● Love theme caller screen, special call themes for lovers. 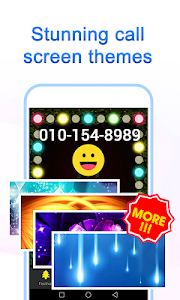 Caller screen is an HD call screen for incoming calls to customize call screen with stylish calling screen themes. Do you get bored with default phone caller screen? Caller screen changes phone screen to a rich and user-friendly interface and offers full caller screen with amazing call screen themes. Stylish calling screen app with dynamic call screen notification. Caller ID will timely remind you of missed messages and calls with the stunning screen. Caller ID Call blocker function will block calls from known spy dialing easily. You can update the database of spam call block number list. Never get harassed by spam calls. 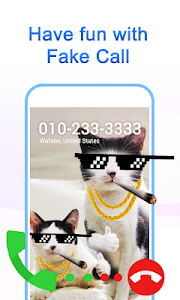 Fake Call is a caller ID fake calling function, you can set a caller name or number of a fake call, even if they aren't saved in your directory. It's like real call and true call screen design for Android and helps you get out of trouble situations with a fake Caller ID. To be frank, you can make a fake Call from contact list with stylish calling screen as well. The fake call includes the call screen feature that allows you to customize your calling screen with your favorite calling screen theme. You can also play a trick on your friends with a fake call. 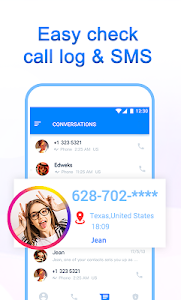 Caller ID automatic call recorder, you can record any incoming calls and outgoing call with high quality, you can manage your call history, rename it, listen to your call recording. Caller ID is not only an app of call screen but also an ID identifier that can help you Identify who is calling. You can see Caller ID name & call location of unknown numbers in call history. Caller ID will identify unknown calls, call block function helps you never take unwanted phone calls from block list, meanwhile, phone numbers of real phone calls will be shown with caller name and caller location. Caller ID provides a shortcut to make calls from dialer and send SMS. You can get a fast access to all voice calls & text. Caller ID sorts different messages by distinguish sender’s phone number. Information sent from real phone numbers will be received as Messages, information from fake phone number will be sorted out and counted as notices instead of messages, such as sales promotion notice. Caller ID keeps you away from spam messages. *Privacy call recorder, secure for your special and important contacts. You can set any contacts for privacy, the call history will not show at the call recorder, only you can find the call history by the special entry. Download Caller ID to decorate your phone with amazing call screen display, block spam calls, identify real calls and have fun with fake calls. 1. Improved answering calls for call flash show. 2. Added more new call flash themes. Similar to "Caller ID: Call Blocker, Call Faker& Caller Screen"